Specially designed for those elevator and implement dealers that spend more time on the hiway than in the field. MTEI now offers an Ultra HD model of our “Farmers Friend”. This new model has been upgraded to a 3” inside diameter reciever tube that fits our solid steel 3” x 3” reciever attachments. These attachments feature a 1” pin on the reciever and a 1.5” pin for your implements. This will give you all the strength you will ever need to pull the really heavy stuff, and you still have the option of a bolt on pintle hitch. 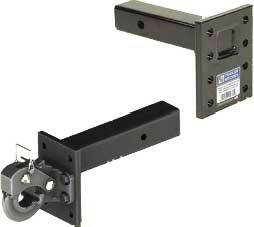 MTEI Tow Plates are made with 3/4" thick high grade steel and are lazer cut with perlection. These tow plates feature 12" support gussets and are available with or with out tail light and accessory holes. 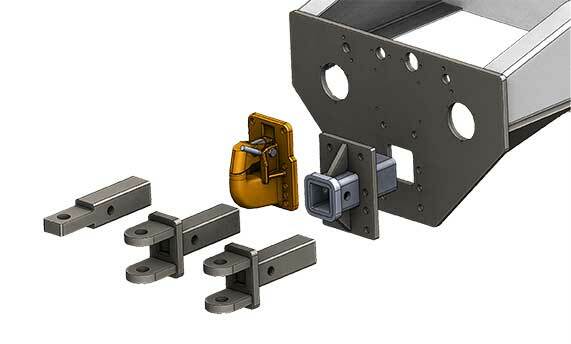 We can also custom fab a tow plate for any application and upgrade your trailer for tandem towing capabilities. Doubble up and get more product to your destination in less time. We Use the largest DOT approved safety rings available and we buy them factory direct so we can pass the savings along to you. Additional features include optional LED tail llghts, service air and emergency air glad hands. 7 pin or 6 pin round or flat tow blade style trailer plugs are available. And you can finish off the whole assembly with LED license plate lights designed to light up for a lifetime. 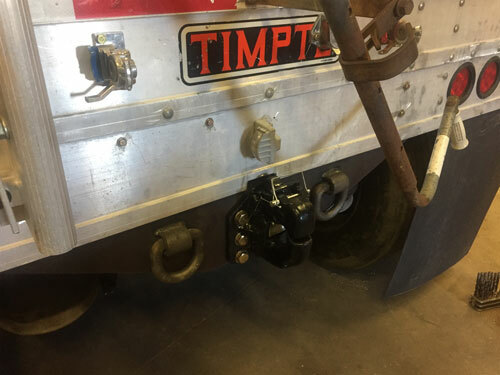 We have designed out tow plate to be compatable with most major attachments on the market and use a "standard" bolt pattern so you can fit the most out of your equiptment.